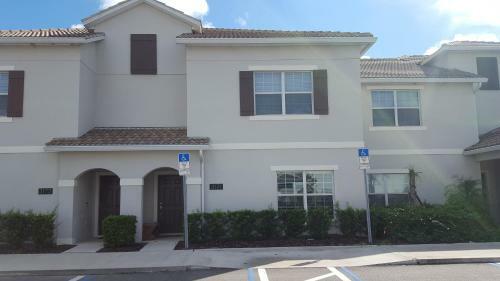 4/3 Private Town-Home at Storey Lake near Disney World Parks in Kissimmee is an apartment building. 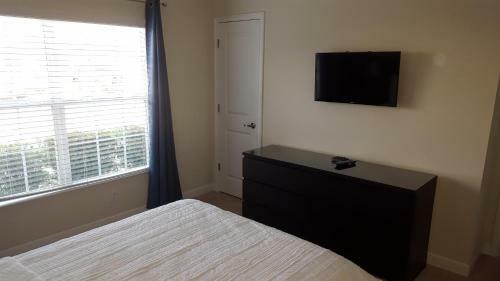 4/3 Private Town-Home at Storey Lake near Disney World Parks in Kissimmee provides accommodation with free WiFi, 5 km from Kissimmee Value Outlet Shops and 7 km from 192 Flea Market. 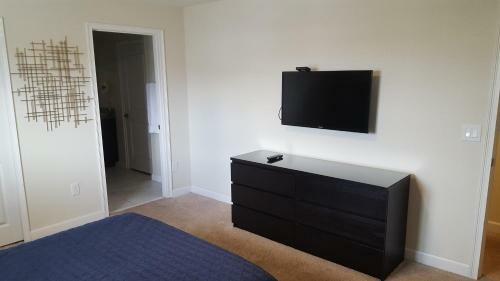 The accommodation is 8 km from the Plaza del Sol Kissimmee. This air-conditioned apartment comes with a kitchen, a seating area, and a satellite flat-screen TV. The apartment also offers a washing machine and 3 bathrooms with a bath and a shower. Staff at the reception can assist guests at any time of the day. The a...partment offers an outdoor pool. A children's playground is available for guests to use at Private Town-Home at Storey Lake. Fun 'N' Wheels Fun Park is 8 km from the accommodation. 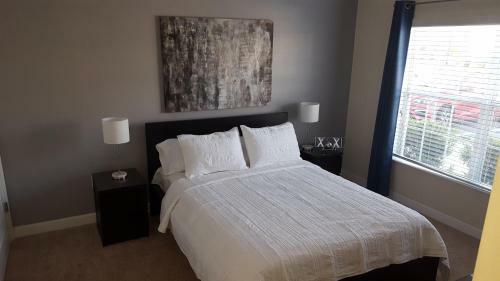 The nearest airport is Orlando International Airport, 29 km from 4/3 Private Town-Home at Storey Lake near Disney World Parks. 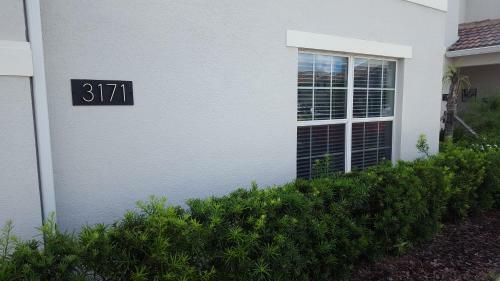 4/3 Private Town-Home at Storey Lake near Disney World Parks in Kissimmee provides accommodation with free WiFi, 5 km from Kissimmee Value Outlet Shop...s and 7 km from 192 Flea Market. 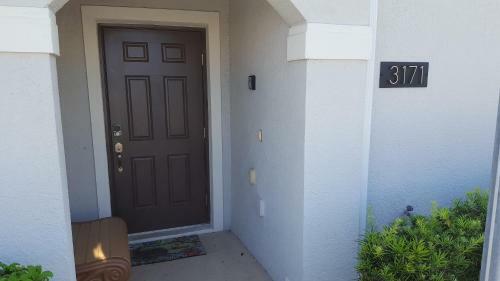 The accommodation is 8 km from the Plaza del Sol Kissimmee. This air-conditioned apartment comes with a kitchen, a seating area, and a satellite flat-screen TV. 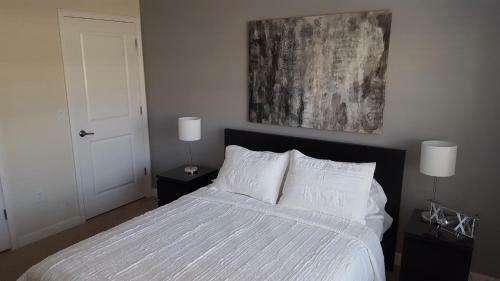 The apartment also offers a washing machine and 3 bathrooms with a bath and a shower. Staff at the reception can assist guests at any time of the day. The apartment offers an outdoor pool. 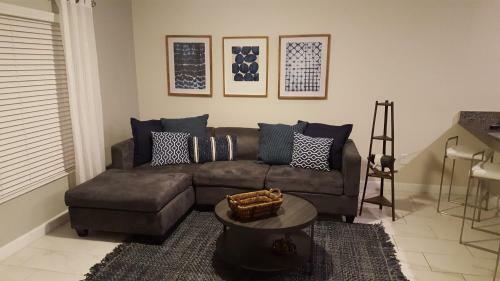 A children's playground is available for guests to use at Private Town-Home at Storey Lake. Fun 'N' Wheels Fun Park is 8 km from the accommodation. 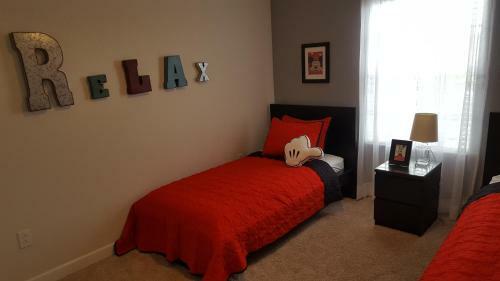 The nearest airport is Orlando International Airport, 29 km from 4/3 Private Town-Home at Storey Lake near Disney World Parks. 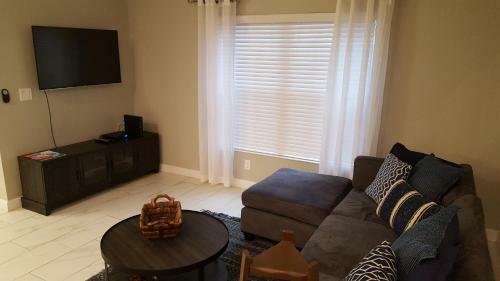 When would you like to stay at 4/3 Private Town-Home at Storey Lake near Disney World Parks? Guests are required to show a photo identification and credit card upon check-in. Please note that all Special Requests are subject to availability and additional charges may apply. Please inform 4/3 Private Town-Home at Storey Lake near Disney World Parks in advance of your expected arrival time. You can use the Special Requests box when booking, or contact the property directly with the contact details provided in your confirmation. A damage deposit of USD 150 is required on arrival. This will be collected as a cash payment. You should be reimbursed on check-out. Your deposit will be refunded in full in cash, subject to an inspection of the property.